Anyone else get these feels? It’s been quite the month! The month is almost over, so don’t forget, if you sign up, or get someone to sign up to the newsletter/postcards this month you’ll go in the draw for a free sketch! 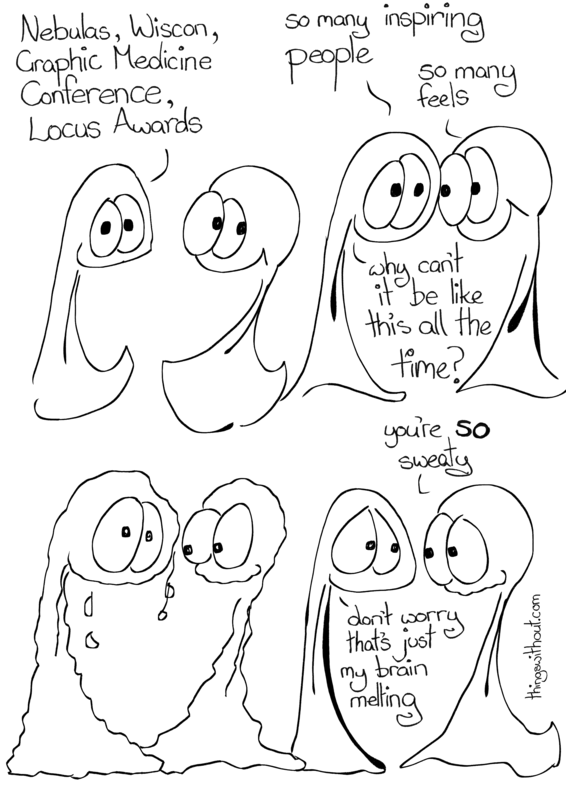 Big love to Locus Awards, I didn’t draw anything there as I was a little empty! Thing 1: Nebulas, Wiscon, Graphic Medicine Conference, Locus Awards. Thing 1: why can’t it be like that all the time? Thing 1: don’t worry, that’s just my brain melting.